The contract scope covers the inspection, reporting and maintenance of the Port of Melbourne’s infrastructure assets – a huge inventory encompassing hundreds of beacons, directional lights and other aids to navigation, wharves, jetties and piers – from the lower reaches of the Yarra River to every corner of the vast expanse of Port Phillip Bay. Minor capital works are also delivered under the contract. Bhagwan will provide vessels, including inshore construction vessels and workboats based permanently in the Port, with a skilled work force to undertake tasks inclusive of diving, inspection, maintenance and repairs. Bhagwan Marine vessels, personnel and crew are stationed around the country and managed from the company’s Head Office in Western Australia. Vessels from Western Australia, the Northern Territory and Queensland will be deployed to the Port of Melbourne as required. Personnel recruited locally in Melbourne will be supported by staff from Bhagwan’s other Australian operations, either as permanent full-time workers or to meet specific short- or long-term inspection, construction, diving or other service requirements. Loui Kannikoski, Managing Director of Bhagwan Marine, acknowledged that the appointment is a major milestone in the business he and his family founded in 2000. “This is a recognition of our increasing reach and expertise across every aspect of marine services,” Mr Kannikoski said. “We’ve worked hard to diversify and expand our service offering in the last few years, and to secure a long-term contract demanding such a broad range of skills and experience makes it all worthwhile. 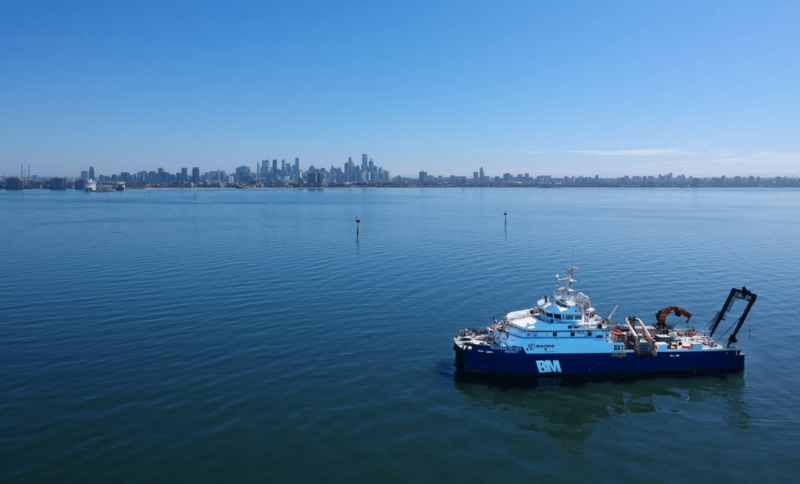 We’re looking to develop a long-term partnership with the Port of Melbourne, and further cement our position as Australia’s most capable, committed and ‘can do’ marine services company,” he said. Port of Melbourne CEO, Brendan Bourke, said that the port looked forward to a strong working partnership with Bhagwan Marine. “Bhagwan Marine was chosen as the port’s preferred maintenance operator due to its reputation for operational excellence and quality customer service. “We expect this to continue at the Port of Melbourne as we embark on what will hopefully be a long term partnership,” Mr Bourke said.